Dec. 5, 2017 3:08 p.m.
From shopping, to wrapping, to baking, the holidays can be a delightfully crazy time of year. However, it doesn’t have to be mayhem. While they might be used to a different set of ‘whiskers’, the elves of the BC SPCA are preparing to make holiday baking a whole lot easier by whipping up delicious treats that will also benefit animals in need this season. On Dec. 16 join the volunteers of the Kelowna shelter at the education building for their annual bake sale, where you can buy everything from cookies, to cakes, to pies and peanut brittle. All funds raised from this bake sale will go to help the neglected, abused and abandoned animals at the Kelowna shelter. 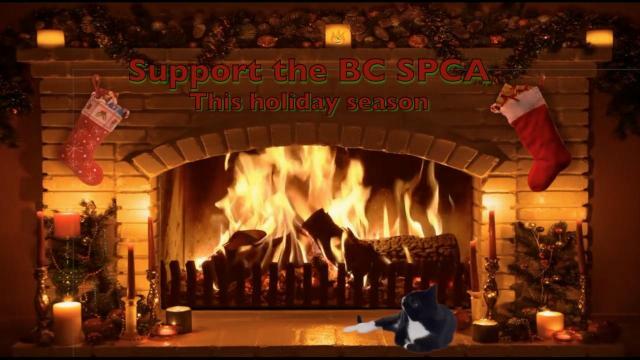 So save on the flour, the sprinkles and the mess this year and let the hard-baking elves of the BC SPCA do the work for you. The fun kicks off at 10 a.m. Dec. 16th at 3785 Casorso Road.